Six people, including a college student, were killed and six others injured when a bus rammed a human hauler (Mahindra) on Barishal-Banaripara road at Tetultala of Babuganj in Barishal on Friday. Five of the deceased were identified as Shila Haldar, 24, a Masters student of Barishal BM College, Manik Shikdar, 40, auto-rickshaw driver Khokon, 35 and Sohel 25 while the identitry of another one aged about 50 could not be known yet. 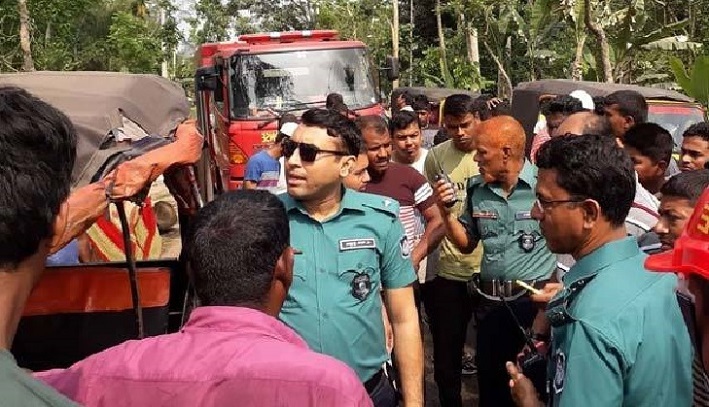 Quoting Yunus Ali, station officer of Barishal Fire Service and Civil Defense, UNB said the accident took place in the area when the Barishal-bound 'Durjoy Paribahan' bus from Swarupkathi hit a human hauler, leaving Shila dead on the spot and ten others injured. Police and fire service men took the injured to Barishal Sher-e-Bangla Medical College and Hospital where doctors declared five others dead.